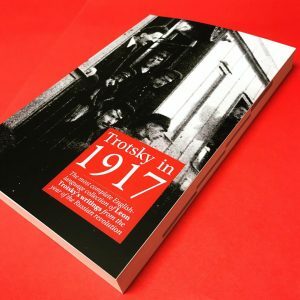 Trotsky in 1917 – available now! At the end of January, Socialist Books launched our latest publication, Trotsky in 1917. We’ve had a very successful launch so far with lots of enthusiastic take up. Haven’t yet got your copy? Well, the bad news is that you’ve missed out on our pre-order discounts, but the good news is that there are still bargains to be had! You can pick up both Trotsky in 1917 and Lessons of October together for just £15; that’s a 15% discount if you buy both together. Socialist Books will also be making an appearance at a few upcoming events. First up is the Trade Unionist and Socialist Coalition conference taking place in central London on 10 February. This election coalition involving the RMT trade union, the Socialist Party and others will be discussing the upcoming elections, endless council austerity and the role of Labour councillors, and the question of standing an anti-austerity challenge. On the 24 February we’ll be at the Socialist Students conference in Birmingham. As they put it “This could be the year we see the end of tuition fees. It could be the year student debt becomes a thing of the past. Corbyn’s promise in May 2017 was that, should he be elected, fees would be history by the following September. This was a pledge which helped propel the electoral revolt which took May’s government to the brink of defeat on 8 June. But despite the Tories clinging to power, we still have the opportunity to make this policy real now. “Britain’s weak, divided government is exceptionally vulnerable. The task facing all student campaigners is to help build a movement that can drive them from power: a movement that can force them to call a general election; a movement that will fight to see Corbyn’s policies implemented – and go further. “Socialist Students is the largest organisation on the student left. We will be meeting on 24 February in Birmingham Student Guild to discuss how such a movement can be built. And we’ll be placing student struggle in its wider context. If you’re coming along to either of those events, say hi! 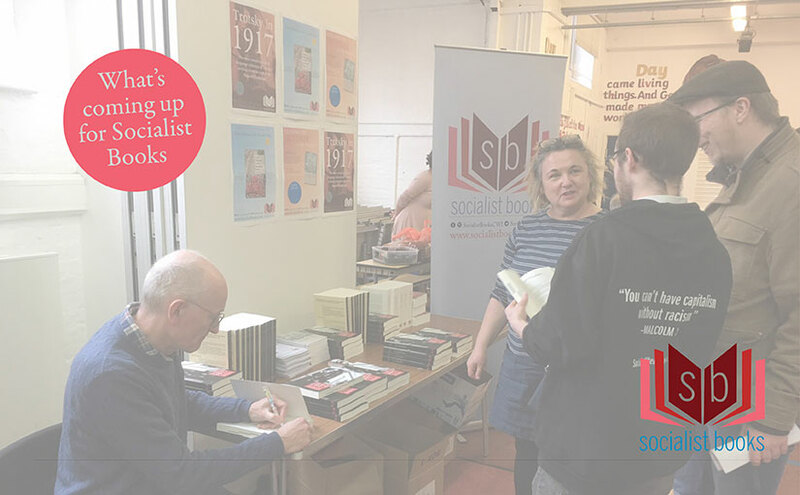 Know of any other events that Socialist Books should be at? Let us know over on twitter or facebook. Know of any shops, libraries, book reviewers or anywhere else you think would be interested in our titles drop us an email. We’ve got a few videos, articles and other projects in the works; check back here for more or subscribe to our mailing list to keep up to date with Socialist Books.